France’s foreign ministry on Monday summoned Italy’s ambassador following comments by Deputy Prime Minister Luigi Di Maio accusing Paris of continuing to colonise Africa and suggesting the European Union should slap sanctions on France. Speaking on Saturday during a trip to the Abruzzo region, Di Maio attacked France’s policy in Africa, the latest episode in a war of words between Paris and Rome since the anti-establishment 5-Star-Movement and far-right League won power last year in Italy. “If we have people who are leaving Africa now it’s because some European countries, and France in particular, have never stopped colonising Africa,” Di Maio said. Ambassador Teresa Castaldo was summoned on Monday afternoon by the chief of staff of European Affairs Minister Nathalie Loiseau, a French diplomatic source said. “It’s not the first time the Italian authorities have made unacceptable and aggressive comments,” the source said. It was not clear what Di Maio based his allegations on. The new Italian government has frequently clashed with Paris, be it on immigration or policy in Libya, although until now France has kept its reaction relatively low key. “I’ve stopped being a hypocrite talking only about the effects of immigration and it’s time to talk about the causes,” Di Maio said. Italy’s far-right Deputy Prime Minister Matteo Salvini in December said French President Emmanuel Macron was to blame for the anti-government demonstrations that have rocked France since November. The number of internally displaced persons as a result of the crisis in the North West and South West regions of Cameroon has increased according to the Centre for Human Rights and Democracy in Africa, CHRDA. 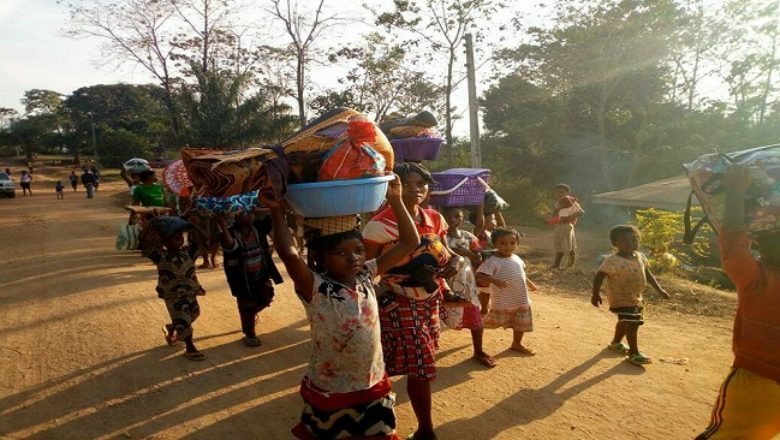 In a detailed reports released on Thursday December 20, the CHRDA said there was an upsurge of internally displaced persons as well as bunrt down settlements as a result of the persisting crisis. About 274,908 are internally displaced in the North West region while 278,867 are displaced in the South West making it a 74% increase from the last census, the CHRDA. The Centre also added that 113 out of the 170 settlements have beeen severely affected and called on the government to accelerate its humanitarian asssistance prrogramme to the Internally displaced persons while seeking for urgent solutions to end the crisis. This report addds to that of the Norwegian Refugee Council which raised programme similar alarm at the start of the week and called for urgent and assistance humanitarian assistance. Incumbent Paul Biya has won Cameroon’s presidency for a seventh time, taking a reported 71 percent of the vote. DW’s Fred Muvunyi says it’s another seven years of pain that Cameroonians will have to endure. Now that Paul Biya has been declared the winner of Cameroon’s presidential election, the country will continue on its downward trajectory, with the possibility of increased violence and the same sort of audacious impunity that has long characterized his 36-year rule. For me, it’s another missed opportunity to get rid of a dictator. A missed opportunity to give hope to the majority of young Cameroonians who have not seen any other leader in their lives. The opposition says the October 7 vote was rigged in favor of the incumbent. After failing to oust Biya through the ballot box, opposition politician Kah Walla told me that she would stage protests to take down Africa’s second longest-serving leader. It’s a risky option to remove Biya by force, but given the anger and frustrations of Cameroonians, this seems to be the only left option. However, they should also expect a heavy-handed response from the man who has ruled with an iron fist for nearly four decades. The 85- year-old managed to show up only once in Cameroon’s far north, one of the country’s most impoverished communities. One opposition leader told me that Biya had no reason to campaign because the voters’ choice doesn’t matter. What matters is Biya’s well-positioned allies that rig the election for him. Who else can win the election by merely showing up on the ballot paper without campaigning? Biya never bothered appealing to Cameroonians to vote for him. He is arrogant and has lost touch with ordinary citizens in the country. Now he claims to be the winner with 71 percent of the votes. What a joke! Although I had valid documents to travel and work in Cameroon, I had to pay money to be allowed to pass through every police and military checkpoint. Even at the international airport in Douala, staffers there extort money from passengers. I’m not recounting a story of someone else: It’s my personal experience. Bribes are evident in most African countries, but Cameroon is on another level. An anti-corruption organization, Transparency International, puts Cameroon among the most corrupt nations in the world, taking the 153rd spot out of 175 countries. Biya is taking the lead. He himself has spent at least four and a half years in total on private trips in the 36 years he has been president, according to research supported by the Organized Crime and Corruption Reporting Project. Biya has made himself at home in Geneva’s five-star Intercontinental hotel, paying the total bill and chartered jet costs of around $182 million (€156 million). While in Cameroon a few days ago, I saw how the central African nation is sliding into a terrible civil war that the world will only wake up to when nobody is left to save. The worsening crisis is mostly the result of the Biya regime, using brutality and indiscriminate violence as a first resort, instead of dialogue, to address valid grievances from the country’s English-speaking minority. In silencing them, soldiers have killed about 4,000 Anglophone civilians, according to the Center for Human Rights and Democracy in Africa, a nongovernmental organization based in Buea, the capital of southwestern Cameroon. Around 500,000 people are displaced — many live in forests fearing government soldiers. There are no signs the violence will stop anytime soon. While I was in the war-ravaged regions, guns could be heard day in and day out. Bodies were scattered on the streets, and most places were completely deserted, instead occupied by heavily-armed government soldiers. I come from Rwanda, a country that went through civil war and genocide two decades ago. I lost my close relatives when the international community looked away, abandoning minority Tutsis who were being slaughtered at the time. I’m afraid that Cameroon is taking the same path Rwanda took 24 years ago. I’m not pleading to the international community to stop the violence and the rogue regime of Paul Biya, because I’m already disappointed with the West. I’m merely asking Cameroonians, both English and French speakers, to stand up for their country and take down selfish leaders who are tearing them apart. Thirty-six years of pain and anguish is too much to endure. Don’t take it anymore and don’t let Biya play over your life again. This is equivalent to narrating the David and Goliath fight as a “fair match”. In fact, the reality is more like a conflict between ten Goliaths who have each been given training and supplies by some of the biggest armies in the world (France, the US and Israel), and one David with a single slingshot. Any reasonable person can see that actual neutrality in narrating this conflict would be proportional attention to the harm being wrecked by this Goliath Army vs. by David’s slingshot. The politically biased behavior is to narrate the conflict as though there is a parity, when there quite clearly is not. As we pointed out in our critique of Amnesty International’s June 2018 report on Cameroon, when US President Trump tried to say that there was “violence on both sides” during the August 2017 neo-Nazi protests in Charlottesville, VA, a broad-based chorus of press and humanitarian voices unilaterally rejected this narrative wholesale, and correctly so. In the same way, we unilaterally reject this false equivalency between the Ambazonian resistance and the Cameroon military that the NGO-industrial complex is peddling. What is the political motive to this distortion? While some people repeating this narrative may not be aware of it, the main function of this distortion is to distract people from the power dynamics at play, and to discourage attention to the actual political demands of the aggrieved party. In the 1990s, the same sort of “equal violence on both sides,” narrative destroyed the international solidarity network that had formed around the pro-democracy movement in CongoDRC started by the Union for Democracy & Social Progress (UDPS). Founded in 1982, UDPS introduced the continent of Africa anew to the General Strike, or “Operation Ghost Town” as it would soon become known all over the continent. With the power of this tool of mass nonviolent resistance, UDPS forced the national conference to revise the constitution, ushering in democratic reforms on the dictator Mobutu Sese Seko. Across Africa, others copied the Ghost Town tactic, introducing multiparty politics in Cameroon, bringing about the fall of the dictator in Congo-Brazzaville, and launching a wave of democratic reforms across the continent. 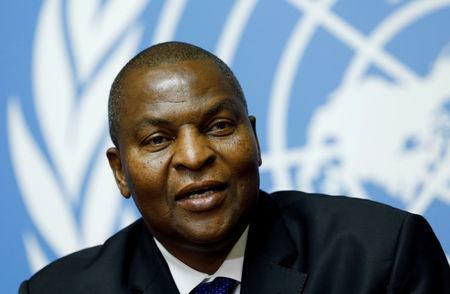 Then some regime holdouts in CongoDRC started instigating attacks and trying to stoke inter-communal violence in certain parts of the country. As some communities responded in self-defense, a group of mostly international NGOs and media outlets started in with the “equal violence on both sides” narrative. Soon international solidarity for the cause of the UDPS collapsed and all discussion shifted to these “violent parties” who had imposed themselves on the body politics of the CongoDRC, and how to help the “poor victims caught in the middle.” Everyone stopped talking about the actual grievances and demands of the UDPS. And the rest is history. That is just one example. Below is a partial list of other examples where large human rights NGOs rushed to introduce “both sides/equivalency” narratives in situations of vastly unequal power. You’ll notice that most of these examples are in Africa! That is why APOCS Network will not allow anybody to peddle the “equal violence on both sides” narrative on our just struggle. It is true that some communities did resort to the use of force to defend themselves following the cold-blooded massacre of peaceful protesters with helicopter gunship on October 1, 2017. But these actions, which came after 56 years of completely nonviolent resistance, are like David slinging a rock at a Goliath Army of bulletproof tanks. And the crushing lethal crackdown by the Cameroon regime in response is no more justified than if a gang of fully-armed Goliaths were to accost their tiny foe with the full force of their weaponry just because he managed to hit one of them with a single rock. More importantly, our community’s use of force in self-defense is not more important than the REASONS our people are struggling in the first place. Any presentation that erases the actual grievances when narrating particular actions is participating in the process of erasing what is actually going on, which is a decades-long-in-coming uprising against an excessively unjust situation. Another reason that respected NGOs are participating in this distorting narrative is that it plays into a longstanding racist idea that Africans are just particularly prone to fighting with each other. Perhaps some individuals propagating this narrative are not aware, but they are drawing from an old and powerful stereotype that has been used repeatedly to dumb down discussion of the specific drivers of conflicts in Africa. The subtext is that African conflicts do not deserve to be narrated using serious political analysis that delves into the history, geopolitics and economics underlying them — which would require that Global North-dominated NGOs and policy makers put time and expertise to understand these complexities. Instead, African conflicts can just be narrated like a sports game, since what can you expect anyway when dealing with these inherently violence-prone Africans. Of course this narrative helps the powerful party in the conflict! It does so by shifting attention away from the actual abuses they have inflicted that have led to the resistance. In most cases, that powerful party is a neocolonial dictator, or mercenaries recruited by European mining interest as was the case in CongoDRC. in this way, the “equal violence on both sides” narratives actively uphold the status quo of white supremacist control of Africa’s resources. This is why we will fact check every report on our struggle no matter the reputation of the entity producing the report. Any entity or individual who actually cares about African liberation should take these critiques in stride and respond in good faith. Among the many French and British African colonies which achieved independence in the early 1960s, Cameroon seemed destined for greatness. A diverse reflection of peoples from across Africa, Cameroon has both Christians and Muslims, and French and English-speakers. The country enjoys substantial natural resources, as well as excellent agricultural potential. Sadly, greatness has eluded the Cameroonian people. The country’s governance over the past six decades has been deficient in practically every respect. Weak democratic institutions are largely to blame; there is no doubt that Paul Biya will be the winner of the just-completed elections. Like every election in Cameroon since 1982, the 2018 polls were most certainly rigged. Cameroon’s current turmoil is an inevitable consequence of the illegal 1972 referendum to unify the country and relegate anglophone Cameroonians to minority status, and decades of authoritarian rule by Paul Biya and his Beti minority, who comprise just 10% of the country’s population. Because of minority rule – and the inevitable corruption historically concomitant with such governance in Africa – Cameroon has not made as much progress in economic development as neighboring countries, especially Côte d’Ivoire and Ghana. Cameroon achieved independence as a federation of the former French Cameroon and part of the former British Cameroon. The people of the former British Cameroon voted in a UN-organized referendum to join with the former French Cameroon in a federal system. The English-speaking part of the Federal regime became West Cameroon, with its own legislature and its own President. The elected President of West Cameroon was designated de facto Vice President of the Federation under the constitution. Decline began in 1972, when then-President Ahmadou Ahidjo decided to hold a nationwide referendum on abolishing the federation, replacing it with a unified government. Not surprisingly, 75% of the Francophone population voted to end the semi-autonomous status of English-speaking West Cameroon. Cameroon became a unified state. From the beginning, the political leadership of anglophone Cameroon considered the unification an illegal violation, under international law, of the original UN referendum to establish a federal system with equal political status for the francophone and anglophone regions. Only the people of West Cameroon had the right to decide whether or not to end their status as a member of this federation. The 1972 referendum made them into just another minority. English-speaking intellectuals from West Cameroon began traveling to western capitals, including Washington, in the 1980s to call attention to their people’s unhappiness with this illegal move. In 1982, the founding President of Cameroon, Ahmadou Ahidjo, decided to retire after 22 years in power. He was succeeded by his Vice President, Paul Biya. This change added to the unhappiness of anglophone Cameroonians: Biya inaugurated a long period of minority rule, arranging for his ethnic group, the Beti, to hold a monopoly over political and economic power. To this day, the Beti continue to rule the country, as Biya continues to rule as President. As frustration mounted, incidents of anti-regime violence within Anglophone Cameroon grew in frequency and intensity to the point of quasi-civil war. The government’s security problems were multiplied by Boko Haram, which began attacking the northern region near Lake Chad from its main territory in northeast Nigeria. The Biya administration has attempted, unsuccessfuly, to repress the anglophone rebellion with a harsh crackdown. The anglophone community’s resilience may be strengthened by significant ethnic support on the Nigerian side of the border. Despite its economic potential, Cameroon has lagged in development thanks to these basic issues with fair representation and democratic institutions. As for the immediate future, the Cameroonian government will not find peace unless it negotiates a new relationship with its anglophone community. Another Biya term will not represent progress towards a solution to the country’s crisis. A return to the pre-1972 federal system would constitute a major step forward. African economies will require significant work to compete at on global scale. In the latest Global Competitiveness Index—a report compiled by the World Economic Forum—African countries make up 17 of the bottom 20 nations. While the global median score is 60, the median in sub Saharan Africa (45.2) is the lowest for all the regions analyzed. The annual index ranks countries based on 12 pillars based broadly on these factors: an enabling environment, markets, human capital and an innovation ecosystem. Each of the 140 countries are ranked based on their scores out of 100. Mauritius and South Africa are among the few bright spots with both being the only two African nations in the top half of the index. Mauritius’ top ranking is hinged on scoring high on pillars, especially strong institutions. Its 62.9 score on institutions is particularly considered a “considerable competitive advantage” in sub Saharan Africa as 65% of economies in the region score below 50. Across the board, sub Saharan Africa posts the weakest average regional performance on 10 out of the 12 pillars analyzed, including information communications technology adoption and the human capital pillars of health and skills. As Quartz has previously reported, internet costs are higher in Africa than everywhere else while internet speeds across Africa are still far below the global minimum standard. The scale of human capital spending is also reflected the World Bank’s first-ever Human Capital Index released this month. Nigeria—Africa’s largest economy—ranks 152nd of 157 countries analyzed and Africa accounts for the entire bottom 10. Boosting scores on future indexes and creating more competitive economies, the report says, will depend on how ”old developmental issues”—mainly weak institutions, poor infrastructure and skills deficit—are resolved. “The much-vaunted economic leapfrogging will not happen unless these issues are addressed decisively,” the report adds. When Central African Republic (CAR) pleaded for help last year to fight marauding militias, former colonial ruler France offered guns it had seized off Somalia. But Russia objected and donated its own weapons instead. The continent’s 54 member states at the United Nations – three of which sit on the Security Council at any given time – form the organization’s largest voting bloc and one of its most coherent, making them attractive allies for Russia. Besides sending arms and contractors to CAR, Russian national Valery Zakharov is a security adviser to President Faustin-Archange Touadera and Russia’s defense ministry said last week it planned to establish a five-person team at CAR’s defense ministry. Russia’s moves come at a time when the defense ministry’s influence over Kremlin foreign policy is growing against a backdrop of heightened tension with the West. Yevgeny Shabayev, head of a chapter of a paramilitary Cossack organization who has ties to Russian security contractors, said there could be 1,000 in CAR and 5,000 to 10,000 across Africa, including in Sudan, South Sudan and Libya.